The complexities of drawing electrical schematics mean the right tool is essential to get things right. Here we’ve looked at the best electrical plan drawing software for Mac users in 2018. The electronics design industry is forecast to be worth a whopping USD $14 billion by 2024. There will be a growing demand for software to meet the demand of deep learning, Internet of Things (IoT), virtual reality, augmented reality, driverless vehicles and much more. Currently, Windows users can use powerful solutions like Microsoft Visio or free schematic drawing apps such as TinyCAD but neither TinyCAD for Mac or Visio are available on Mac. Alternatively, some Electronic Engineers use complex CAD tools (also known as ECAD software) but these are invariably expensive and time-consuming to learn and use. The good news is that nowadays there’s some excellent dedicated electrical drawing software that do work on Mac and don’t have the steep learning curve of CAD software. The future of Electronic Design Automation (EDA) software is undoubtedly online and many of these apps work in any browser on any platform so these reviews will also be of interest to Windows and PC users. With this in mind, here then are the best schematics tools for Mac in order of ranking. 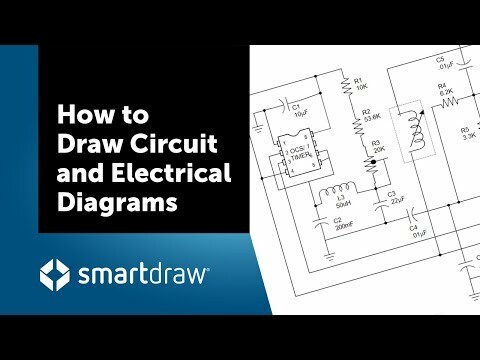 SmartDraw is an incredibly easy to use diagramming software that’s perfect for drawing circuits and electrical layouts. SmartDraw makes it extremely quick to design circuits due to a huge choice of templates that you can easily customize to fit your layout. Not only that, but it uses Smart Formatting to connect circuit lines automatically – there’s no messing around trying to align or connect things manually. The same applies when you make changes – SmartDraw will automatically re-balance and tidy up wiring which saves a lot of stress. SmartDraw has over 40,000 different symbols in total and there are hundreds of electrical symbols to choose from in the Smart Panel. SmartDraw is a particularly good option for those working in teams as you can collaborate on schematics at the same time. You can do this either via your shared SmartDraw account or via online file storage services such as Google Drive, Box or OneDrive. If you want to show clients or non SmartDraw users your designs, you can simply email them a link. You can also embed electrical diagrams in Microsoft Office documents or export to PDF or PNG if you want to print them. You can get started now drawing schematics for free with SmartDraw to see for yourself. You can also check out our full review of SmartDraw for more. If you want the ultimate in professionalism, AutoCAD is about as powerful as it gets when it comes to CAD of all types including circuit design. AutoCAD is so commonly used across the industry that even major players like Schneider Electric have their own plugins for AutoCAD to design electrical circuits. AutoCAD has hundreds of toolsets of which Electrical is just one but AutoCAD has everything you need if you’re in Electronic Engineering or related industries. Some of the most notable features in AutoCAD include automatic report generation for components in your designs, ability to share DWG files with customers or suppliers, interactive single line diagrams and real time error checking for unconnected wires. AutoCAD is not easy to learn but if for professional use, it’s probably the industry leading circuit drawing software out there. It’s also not cheap but one tip is to get AutoCAD LT instead which is 75% cheaper than AutoCAD and is a superb electrical design software if you don’t need 3D features. Note that if you’re based in Europe, you have to use the Autodesk Europe store to take advantage of this offer. EAGLE is from the same makers of AutoCAD but is an electrical CAD software focused specifically on printed circuit board (PCB) Design. Autodesk EAGLE is what’s known as an electronic design automation (EDA) software and is tailored for printed circuit board (PCB) designers. 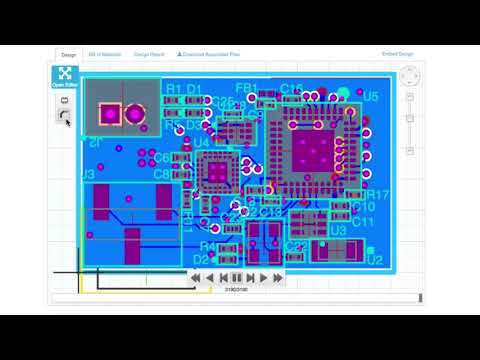 EAGLE allows you to connect schematic diagrams, change component placements, do PCB routing and has a huge library of content thanks to integration with Autodesk’s library.io. Some of the standout features include a SPICE simulator to test and validate your circuits, ability to drag and drop modular design blocks in designs and the ability to create 3D models of your PCB schematics. The great thing is, if you’re just a hobbyist, you can use EAGLE for free although it’s limited to 2 schematic sheets, 2 signal layers and an 80cm2 board. The full version of EAGLE is very modestly priced however at $15 per month or $100 per year which is very good value for a professional PCB design software on this level. Lucidchart is an easy to use cloud diagramming tool which is especially good for those that need to collaborate in teams on circuit diagrams. 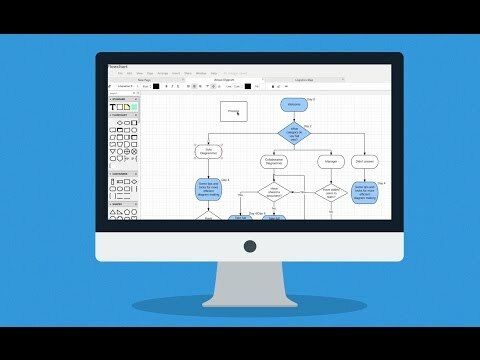 Lucidchart is for all types of diagramming but has lots of templates for schematic drawing. Lucidchart is easy to use, allows you to drag and drop objects and has a large library of symbols to choose from. Lucidchart is a good choice for large teams of electrical engineers as it allows you to work on circuits simultaneously, chat in real-time and comment on edits. One of the other attractions of Lucidchart is that it’s free to use for individuals although the free version is limited to just a few designs, very little storage space and only 60 elements. You can check out our complete review of Lucidchart for more. If you prefer a desktop application to draw electrical circuits on your Mac, then ElectricDesign may be for you. ElectricDesign is perfect for creating prototype circuits or using as an automotive wiring diagram software on your Mac. The choice of symbols and templates is sufficient (although not great) but ElectricDesign is a cheap and effective desktop tool for making electrical schematics. Unfortunately ElectricDesign can’t import schematics such as DWG files so you have to start from scratch if you want to try to replicate your existing layouts. There’s also no way to search objects but at less than $15, you can’t really complain. OmniGraffle is an extremely powerful desktop diagramming tool that’s made specifically for Mac. OmniGraffle is slick, produces stunning results and looks great on macOS. Many of OmniGraffle’s stencils can be found in Graffletopia which features pre-made and user-generated electrical templates. In fact, some of the best OmniGraffle stencils are created by other OmniGraffle’s dedicated users. OmnIGraffle doesn’t come cheap at $99 for the Standard version or $199 for the Pro version (includes Visio import support) but it’s about the most professional desktop diagramming app designed only for Macs. There are several free or open course electrical design tools that Mac users can use. Most are aimed at students or engineers and aren’t particularly user friendly but if you’re on a really tight budget, here’s a selection of the best ones. Note that to install many of these, you may need to reduce the security settings on your Mac to allow installations by Apple non verified developers. To do this go to System Preferences > Security Settings, unlock the padlock and select “Allow app downloads from anywhere”. You can try OmniGraffle for free and also check our in-depth review of OmniGraffle for more. Fritzing is an open source project that aims to make electrical design accessible to everyone. Fritzing has a thriving community of users that upload projects to the site for other users to adapt or comment on. You can even create your own custom electrical parts and upload them to the Fritzing library. Fritzing is what’s known as donationware which means it’s free to use but the makers encourage donations to the Fritzing foundation to keep the project going. XCircuit is a free open source schematic capture program for drawing publishable standard electrical schematic diagrams and produce circuit netlists through schematic capture. XCircuit was designed originally for Windows and the interface is clearly made more for PC than Mac but you can also use it on macOS. However, it’s been ported to Mac which means it’s tricky to install for those that aren’t tech savvy. XCircuit is aimed at professionals but if you need a free tool that produces high quality schematics, XCircuit is worth a look. MacSpice is a circuit diagnostic tool rather than a schematics design applications but it’s extremely useful for testing whether your circuits actually work or not. It’s a particularly popular tool in universities for students of electronic engineering. MacSpice is designed just for Macs and can analyze circuits as simple as a single resistor to those containing thousands of devices. MacSpice requires netlists with which it builds a numerical model of the circuit and analyses it. MacSpice is compatible with Berkeley Spice 3f5 and also incorporates many of the latest improvements to it. MacSpice is a much cheaper and quicker alternative than building a prototype of your circuit and it’s definitely a useful free complement to any schematics software. Upverter is slightly different to other tools featured here because it focuses on helping you realize schematic plans as quickly as possible. Upverter allows you to copy published hardware designs or electrical layouts that are uploaded by the Upverter community and then customize it for your own use. All designs are published under the Creative Commons license so can be used freely at any time. You can create electrical plans from scratch with the Upverter Schematic Capture tool which is slick to use, allows you to collaborate with others and catches errors in real-time to save time. Upverter is particularly aimed at those designing with Arduino, Raspberry Pi, BeagleBoard, GumStix but because it’s Cloud based, Mac users can use it too. Even better, Upverter is free to use with no limitations on the Free Forever plan. McCAD has been around for years and is a professional Electronic Design Software. The main software isn’t free but there are limited free MacCAD EDA tools for Mac users. MacCAD hasn’t been updated for a long time and so it’s quite dated now but it offers an impressive level of detail and professionalism when it comes to schematic capture. This includes an enormous library of 60,000 components, Netlist reports, customizable BOM reports and hotlinking to the 3Spice simulator. McCAD isn’t cheap however with the basic SimPlus starting at $695. 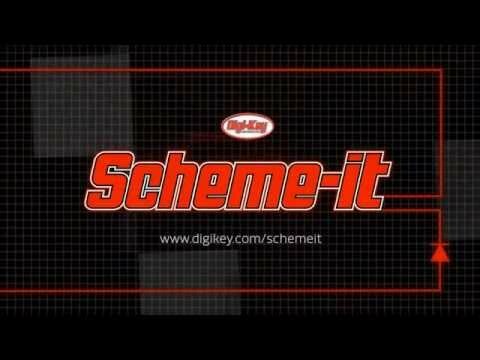 SchemeIT is a surprisingly good free online schemetics tool provided by electronic components suppliers DigiKey. SchemeIT works using HTML5 so it doesn’t require any external browser plugins to use. Engineers can collaborate on designs although it’s designed more for fleshing-out ideas than producing publishable standard schematics. Part placement and wiring is fast and you can export designs to PDF and PNG. SchemeIT is great alternative to sketching out electrical plans on pen or paper or a napkin but it’s limited for professional use. Analog Device Tools is a free circuit design software offered by electrical circuit innovation company Analog Devices. It’s squarely aimed at professionals and offers a range of circuit design tools and calculators. This includes the LTspice SPICE simulator, data converter tools, power management tools and RF/synthesis tools. Analog Devices Tools are desktop based so you can download and use them from free on both Mac and Windows. 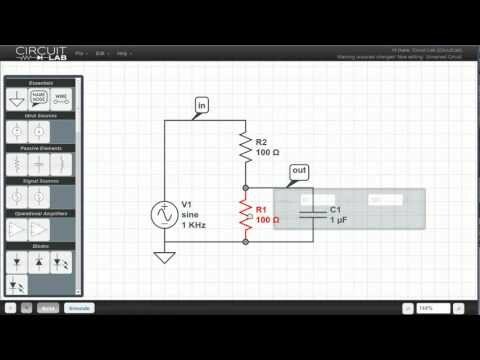 CircuitLab is an online circuit simulator and schamatics tool which supports both analog and digital schematics. 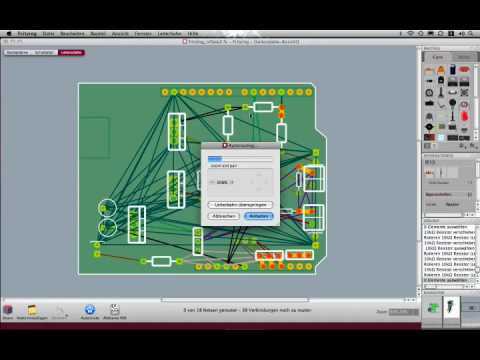 CircuitLab is extremely user-friendly and great for hobbyists looking for an alternative to LTSpice. CircuitLab features a clever “Smart Wires” tool to automatically connect terminals and rearrange components. CircuitLab produces high quality presenation standard schematics in PNG, SVG, EPS or PDF and has its own powerful proprietary simulation engine. CircuitLab even offers a free interactive electronics textbook to help you become a better electrical designer. CircuitLab is free to try but pricing plans start from $79/year for hobbyists or students up to $999/ year for professional engineers. Which Is The Best Schematics Software For Mac? We think that SmartDraw is the best electronic drawing tool in terms of speed, ease of use, templates and features. Whatever your level, SmartDraw makes it incredibly easy to create schematics thanks to the Smart Formatting, easy to customize stencils and huge components library. If you’re an Electrical Engineer that needs the power of CAD software, then AutoCAD (or the much cheaper AutoCAD LT) offers everything you need to produce industry standard schematics on your Mac. For those looking for something more advanced with PCB support, Autodesk EAGLE is still the leading choice for Mac users. Autodesk are the industry leaders when it comes to CAD and EAGLE harnesses all of that technical know how and expertise without the complexity of using AutoCAD. When choosing which circuit simulation tool is right for you, it may be worth considering some of the following questions. Does it support standard and custom symbol libraries? 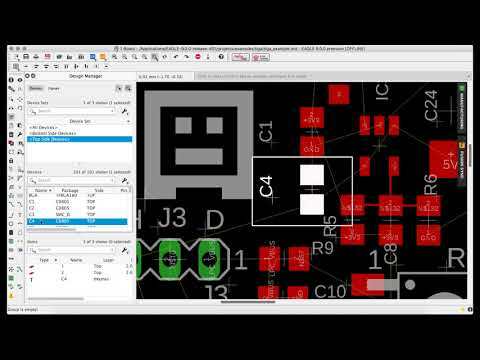 Do you need PCB layout features with netlist formats? PCB design is more about the physical placement of parts compared to schematic design which is more theoretical. SPICE simulation netlists are useful for testing the functionality of your circuits. Do you need flat or hierarchical schematic plans? Do you need support for embedding graphical images in drawings? Will you be using it just for electrical wiring drawings or do you need the possibility of drawing pneumatics, hydraulics, HVAC and other types of technical diagrams? Whichever software you choose, there are some important principles to remember when drawing any type of schematics. Here’s a few of the most important considerations. First and foremost a well draw schematic diagram makes it easy to understand how a circuit works. A badly constructed one only serves to cause confusion which is why the tool you use is so important to keep things neat, tidy and logical. It’s important to make circuit functions clear. Too much detail in one area leads to confusion – white space is never a bad thing in circuit design. Circuit designs should always be clearly labelled to prevent confusion about which components are which. Always align wires horizontally or vertically. Draw line hops where lines cross. This is only a brief overview of the essentials but there are many more useful tips you should follow to produce schematic designs like a professional. There are other industrial solutions such as those by Trace Software but these are Windows only and strictly aimed at those in industrial engineering. Others such as ProfiCAD are open source and free to use but only work on Windows. Your only option to use these is run Windows on Mac but it’s a long-winded, expensive solution and doesn’t always provide all the features you can get on Windows anyway. If this option interests you, check our look at the best ways to install Windows on Mac. We hope this article has helped you find the right tool to draw electrical circuits on a Mac. If you have any questions, suggestions or experiences with the apps featured here, let us know in the comments below.